Des Clarke is one of the UK’s most exciting performers. He has made a name for himself as both a highly successful comedian and one of television and radio’s star presenters. 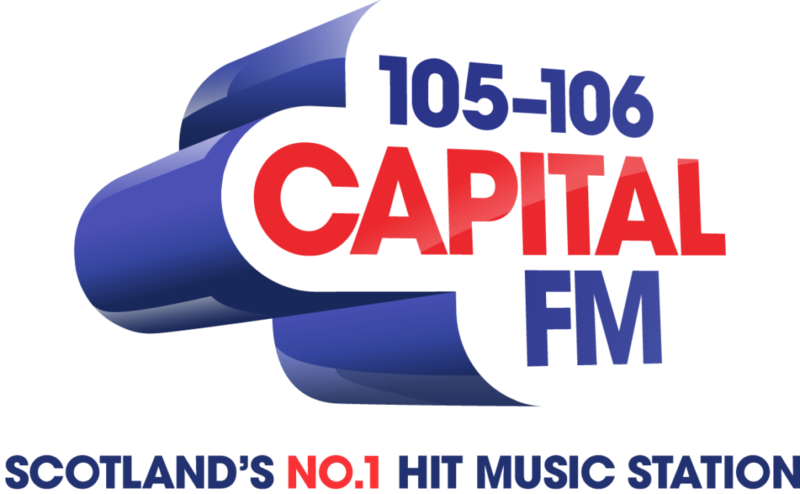 Des is a much loved voice on the airwaves and can be heard waking up central Scotland every morning as host of the Capital Breakfast Show. He also fronts hit comedy series Breaking The News on BBC Radio Scotland. Clarke’s radio work has earned him widespread recognition, winning a British Radio Award and two Scottish Comedy Awards. In addition to nominations in the Arqiva, Celtic Media, Comedy.co.uk and Sony Awards. Over the years he has interviewed some of the showbiz world’s biggest names including Ed Sheeran, Robbie Williams, Britney Spears, Justin Timberlake and Katy Perry. The last few years have been massive for Des. He hosted the live Commonwealth Games Closing Ceremony to a global TV audience of 1 billion viewers. After which he performed live to thousands again, providing entertainment and commentary at both the Six Nations Rugby and Scotland international football matches. He has also become one of Scotland’s best loved panto stars. Starring at the King’s Theatre in Glasgow annually since 2012. That led to an impressive TV career with presenting credits ranging from the STV Appeal, Andy Murray Live, Club Cupid, Sportsround and Children in Need. Stand-up comedy remains Des’s first love and he performs his own solo shows annually at the Edinburgh Fringe and Glasgow Comedy Festival. He has toured the world with his unique brand of observational humour, appearing on stage in New York, Dubai, Australia and Los Angeles. Des has also received critical acclaim for his comedy, winning Chortle Best Newcomer and the ITV Golden Mic Award. 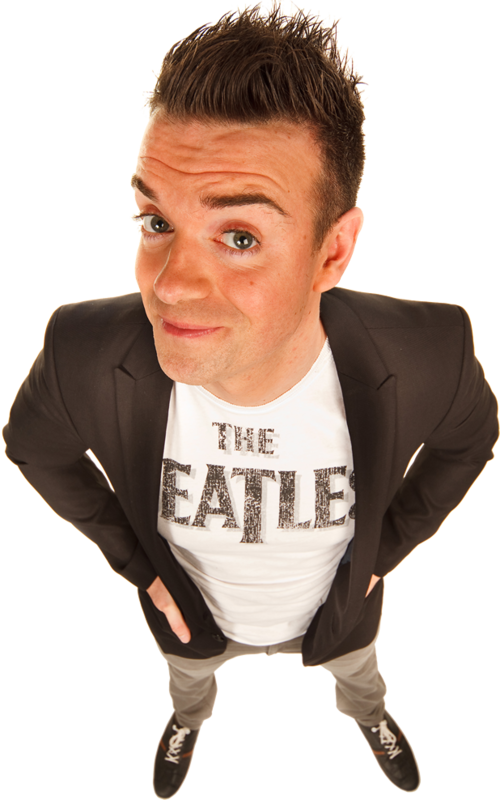 Des Clarke may actually be the funniest man I’ve ever seen… Absolutely excellent. Clarke’s performances are in a league of their own. Onstage he is a racing car wrapped in an express train inside a space rocket. It could be terrifying if it were not for two things: Clarke has wide blue eyes with remarkably long lashes that lend him the look of a startled gazelle. And he’s funny. Very funny. It’s not just the turbo-charged engine of his delivery; it’s the sparkplugs of random connections and word associations that fire it – collisions of words and ideas that take his material beyond observational humour. 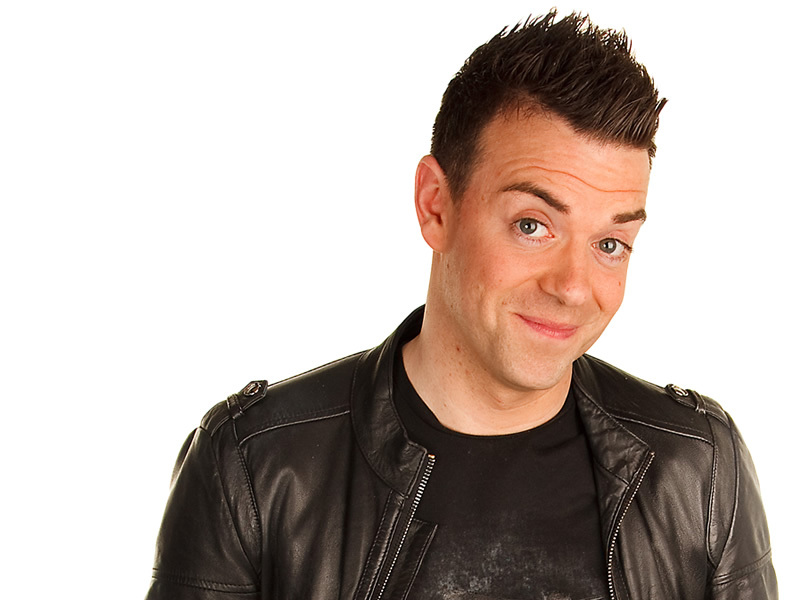 The prodigious talent of Des Clarke shone like no other comedian. His versatility and natural instinct for entertainment radiated vivacity… he’s conquered the comedy world with his stuttering ingenuity. His energy is boundless. Des Clarke is on the cusp of stardom. So funny it’s almost painful to watch him perform… genius in action. Memorable, distinctive and very popular… he is a comedic Kalashnikov. This boy could be a genius. He speaks in a stammering wall of sound… then a full sentence emerges it stands out as starkly as a rhyming couplet. The man’s a poet. Frighteningly young and frighteningly talented, Clarke – with an E – is going to be a star. Behind the nervous energy and apparent tangents lies a quick-witted comic mind. The result is something as entertaining as it is original.